TORONTO -- When most people think about opioid overdoses, it's typically a younger person that comes to mind. But it's often older Canadians who bear the brunt of detrimental effects related to the powerful narcotics. In fact, about 30 per cent of all opioid-related deaths in Canada in 2017 occurred among those aged 50 and older, while adults 65-plus had the highest rates of hospitalization due to toxicity from the painkillers, says a report by the National Initiative for the Care of the Elderly (NICE), released Wednesday in Ottawa. "The attention seems to be on the younger population, whereas the data suggest that it's older adults who are just as -- if not more -- adversely affected in this opiate crisis," said geriatric addiction specialist Marilyn White-Campbell, who collaborated on the study. "And that's where there's this idea of the invisible epidemic, because it's not really seen as an older person's problem." Adults aged 65-plus consistently have the highest rates of hospitalization due to opioid poisoning, the report found. While older adults represented 16 per cent of the population in 2014-2015, they accounted for about 25 per cent of all hospital admissions due to opioid toxicity. Hospital stays for opioid poisoning were also more prolonged for those aged 50 and up -- eight days longer on average -- compared with those in other age brackets, says the report, which was compiled following an in-depth review of research on the topic. 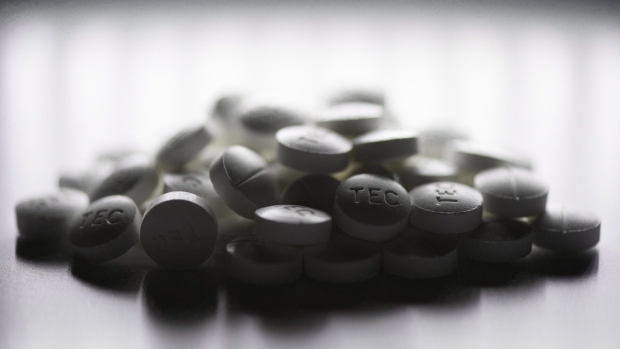 Accidental opioid toxicity that occurred as a result of treatment with prescribed opioids, such as morphine, hydromorphone and the fentanyl patch, accounted for a quarter of poisonings among older Canadians. But White-Campbell believes the actual figure may be higher. "Is the person coming to the hospital because they've had a fall and a fracture or are they coming in because of an opiate poisoning?" she said. Older people who take the painkillers are known to have a greater risk for falls due to the drugs' effects on balance and cognition. 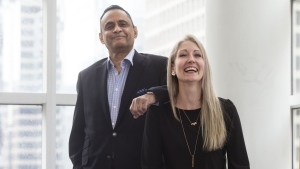 Dr. Samir Sinha, director of geriatrics at Sinai Health Systems and the University Health Network in Toronto, said older Canadians are prescribed opioids more often than their younger counterparts because they have more pain-causing health conditions, such as chronic arthritis. But because there are changes in how the body metabolizes medications as a person ages, tolerance for drugs like opioids can decline. "We break down medications more slowly as we get older and our livers age," he said. "That means the same dose of opioids that might have worked for you when you were 50 might actually be toxic when you're 60. "That's not a matter of you taking too much, it's just that your body can only tolerate so much and only needs so much. So if we don't adjust those medications, you're at higher risk of opioid toxicity." Citing 2017 statistics, the report showed 92 per cent of opioid-related deaths across all ages were deemed to be accidental. But among deaths in which medical examiners determined the drugs had been deliberately ingested with the intent to die, a high percentage of fatalities occurred among those aged 50 and older. "While most opioid poisonings among seniors are accidental, an alarming 33 per cent overall were intentional, raising concerns about the role of mental health and suicide prevention in limiting opioid deaths," the authors write. Enhanced opioid prescribing education for health-care providers to avoid both overtreatment and under-treatment of pain. Prescription drug-monitoring programs, with data-sharing across jurisdictions, to alert prescribers and pharmacies of potential cases of drug interactions, multiple prescriptions and misuse. Age- and gender-appropriate treatment approaches, such as methadone maintenance therapy for those with opioid use disorder, including investment in training for practitioners working with geriatric patients. Legislative changes, including a national opioid strategy that expands access to substance-abuse treatment programs and rescue drugs like naloxone, to counter opioid drug overdoses in older adults. Sinha said that because opioids can be habit-forming and may require escalating doses over time for effective pain control, there's an increased risk of patients developing an addiction to the drugs. "So they're almost sitting ducks for potential negative consequences of opioids," he said. "And that's why there is a crisis that is occurring amongst the older population, that sometimes we don't actually think about as properly as we should."